It’s time for the Secret Recipe Club again. This month I was assigned A Spoonful of Thyme – a lovely blog with a variety of recipes. Of course, I’m a sucker for all things peanut butter and chocolate. So, this one was a given. 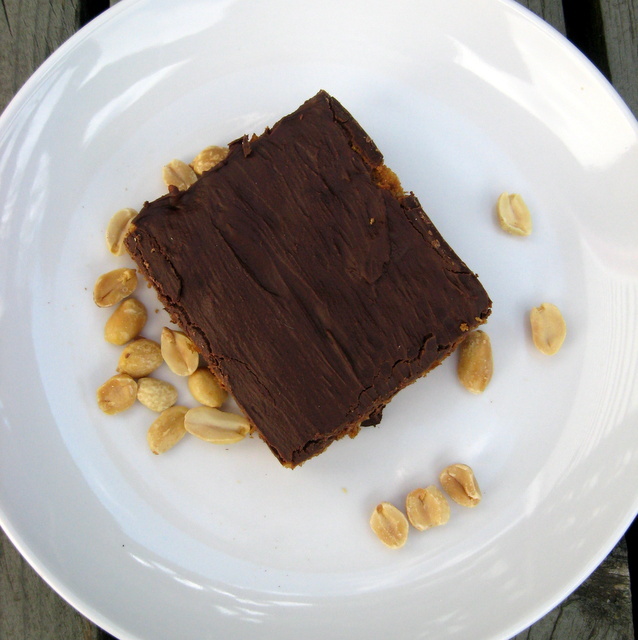 Peanut butter bar, slathered in chocolate. Oh my. I only made minor tweaks, so these aren’t vegan. I was trying to be true to the original recipe. So, I swapped out the flours and used a slightly smaller amount of palm sugar. But, otherwise, I stuck pretty close to the original. And, they were yummy. Preheat the oven to 350°. In a large mixing bowl, cream the palm sugar until fluffy. Add the peanut butter and beat well. Add the sugar and beat until creamy. Add the eggs one at a time, beating between each one. Add everything but the chocolate chips and mix well. Stir in 1/2 cup chocolate chips. Bake for 25 minutes, until edges are golden. Remove from oven and sprinkle with 1 cup chocolate chips. Allow to stand for 5 minutes. Spread the melted chocolate evenly across top of bars. Allow to cool completely. This entry was posted in chocolate, desserts, peanut butter and tagged chocolate, desserts, peanut butter, recipe, Secret Recipe Club. Bookmark the permalink. I am happy that you like the Peanut Buddy Bars. Eating just one is awfully difficult! Ohh, I could totally veganize these! YUM! 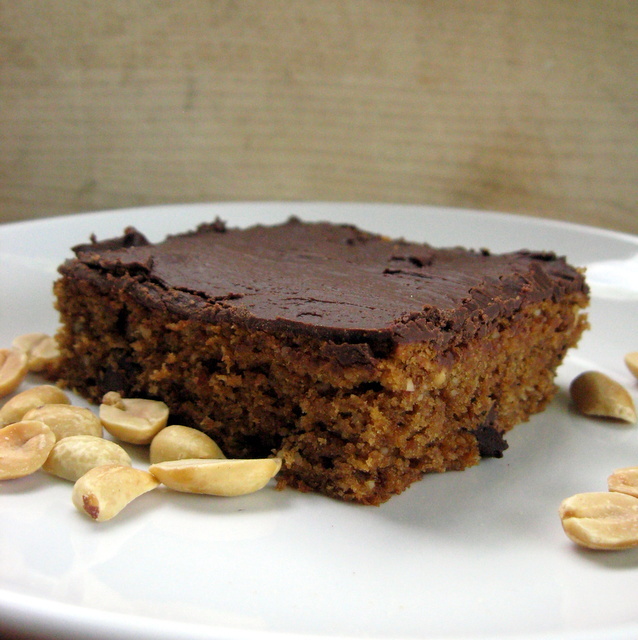 I also did an almond butter, no refined sugar (but not vegan) version this weekend. It was yummo. I think I’m going to try to veganize first and then post, though. Thanks for stopping by to comment on my blog. Anything “peanut butter” is a go on my list! Nothing with chocolate and peanut butter can go wrong – and this certainly looks perfect! Two of the best flavor combinations in the world.